FORT MYERS, Fla. - Nov. 7, 2016 - PRLog -- CPR Tools, Inc. received the 2016 Business Ethics Award presented by the Uncommon Friends Foundation at its annual Uncommon Evening event held November 3 at the Burroughs Home & Gardens. 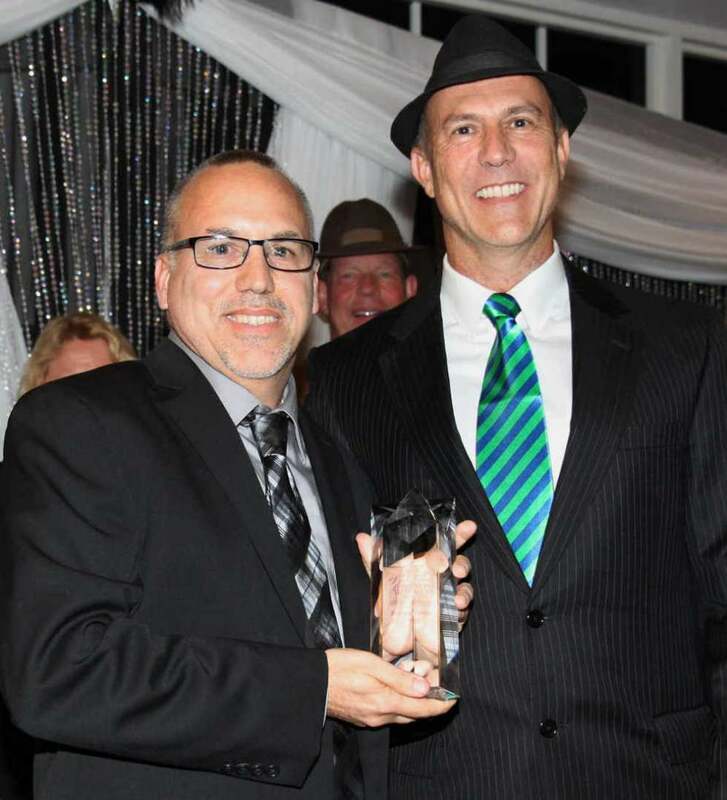 The award was presented to CEO John E. Benkert by Dr. Eric Dent, the new Ethics Chair at Florida Gulf Coast University's Lutgert College of Business. CPR Tools, Inc. www.cprtools.com has 25 years' experience in providing data security and recovery products and services to businesses and individuals. It is located at 2022 Hendry Street, Suite 100 in downtown Fort Myers, FL 33901. Dr. Jesse L. Bryson, Junior Reserve Officer Training Corps (JROTC) instructor at Fort Myers High School, has been named the Uncommon Friends Foundation's 2016 Champion Teacher of the Year. Dr. Bryson has revitalized and modernized the UFF curriculum to inspire young minds at James Stephens International Academy. He is also founder and director of the I Will Mentorship Foundation (IWMF) and has over 20 years' experience mentoring area youth. Scholarships were awarded to 18 students who exemplify the values taught by the original five "uncommon friends." The Eleanore "Ellie" Newton Student Chair in Literature was awarded to Toni McEnery and the James D. Newton Student Chair in Leadership was awarded to Timothy O'Rourke, both students at Florida SouthWestern State College. Special recognition and other student scholarships were awarded to Carica Astrel, Tiana Bohrer, Aaliyah Debose, Linnea Dulikravich, Cinnamon Espana, Nina Griffith, Kerri Houghton, Chelsea Kopp, Jennifer Lynch, Mulon Missick,William Reich, Paige Santiago, Johana Stubbs, TeVon Thompson, Taylor Toreno, and Josiah Vega. More than 250 business, education and community leaders attended the outdoor event held in the Gale McBride Pavilion on the grounds of the historic home. Guests included representatives of finalists Gecko Hospitality and Lee County Electrical Cooperative (LCEC), as well as many past Business Ethics Award winners and supporters. Past winners in attendance were representatives of CRS Technology Consultants (2015), Sunshine ACE Hardware (2014), Ted Todd Insurance (2013), Conditioned Air (2011), and Markham, Norton, Mosteller, Wright and Company (2010). Uncommon Evening is an annual event hosted by Uncommon Friends Foundation in collaboration with its Endowed Chair of Ethics at Florida Gulf Coast University's Lutgert School of Business. Uncommon Friends Foundation is a nonprofit 501(c)(3) organization established in 1993 dedicated to lifelong character building among today's youth and business leaders. Its mission is to promote character education in schools, business ethics in the workplace and historic preservation of the Burroughs Home and James Newton Archives. NEW! River District Food and Brew Festival - May 25th on the Fort Myers Waterfront! "An Evening of Heroes and Inspiration"